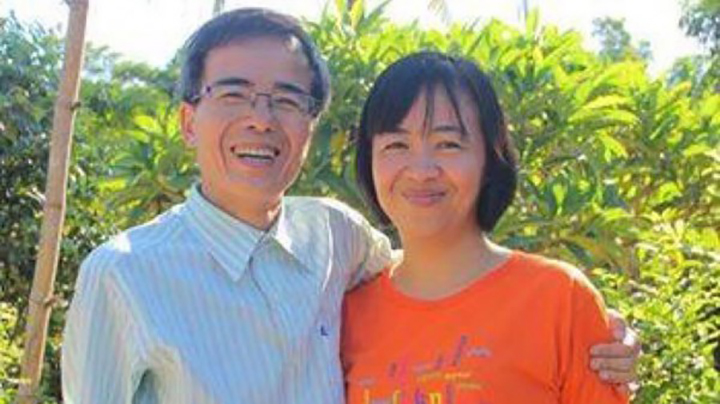 Le Quoc Quan, a prominent human rights lawyer and blogger, left An Diem prison in Quang Nam province last Saturday after completing his 30 month sentence. Civil Rights Defenders considers the 2013 “tax evasion” charges against Quan reprisal against his writings on human rights abuses and democratic reforms, topics usually not reported by State-controlled media in Vietnam. “Lawyer Quan’s imprisonment, as well as allegations of pro-longed solitary confinement or other forms of ill-treatment of other prisoners of conscience, are grim reminders that many activists are still languishing in Vietnamese prisons, often under harsh conditions, for nothing more than peacefully voicing their opinions,” said Brittis Edman, Southeast Asia Programme Director, Civil Rights Defenders. Since January, at least four prisoners of conscience, including one woman, have been released ahead of the end of their sentence and reported that their health deteriorated considerably in prison due to ill-treatment or lack of access to adequate medical care. Quan’s sentencing drew extensive international condemnation and had continued to receive high-level international attention throughout his imprisonment. Although looking emaciated in a photo posted on social media following his release, Quan is reported to be in good health and spirit. Civil Rights Defenders reiterates its call on the Vietnam authorities to immediately and unconditionally release all persons detained or imprisoned solely for the peaceful exercise of their basic human rights, including the rights to freedom of expression, opinion and assembly. Particular attention should be paid to those serving long sentences, including human rights defenders blogger Ta Phong Tan (10 years’ imprisonment) and activist entrepreneur Tran Huynh Duy Thuc (16 years’ imprisonment), and 22 members of the religious group Bia Son Council for Laws and Public Affairs (between 10 years’ to life imprisonment). Pending their release, authorities must ensure all prisoners are protected against torture or any cruel or inhuman treatment and have full and prompt access to adequate medical care. Born in 1971, Le Quoc Quan founded the law firm Quan and Brothers, which provided legal aid to clients that included factory workers involved in labour disputes and marginalised groups in Vietnam. He also blogged extensively about one-party rule, human rights abuses, and constitutionality issues. In March 2007, Le Quoc Quan was arrested, for alleged subversion, after returning home from a fellowship on democracy and civil society in the United States. The authorities released him in June, barred him from leaving Vietnam, and placed him under constant surveillance. He was also disbarred and his law firm was shut down in the same year. In August 2012, he was attacked and injured by plainclothes agents in Hanoi. In December, Quan published a critical blog post about the Constitution just as the authorities were seeking public input on constitutional amendments. Nine days later, he was arrested on charges of tax evasion. In October 2013, a court sentenced him to 30 months in prison and a fine of $59,000 USD. In 2013, the UN Working Group on Arbitrary Detention found Quan’s detention to be arbitrary and called for his immediate release and for the government to provide remedies to Quan for his suffering. In February 2014, only months after Vietnam was elected to the UN Human Rights Council, an appeal court upheld the original judgment and sentence.